Burlotto – to give the estate its full name, Commendatore G. B. Burlotto – is a long-established Barolo producer that I have been late in coming to appreciate. 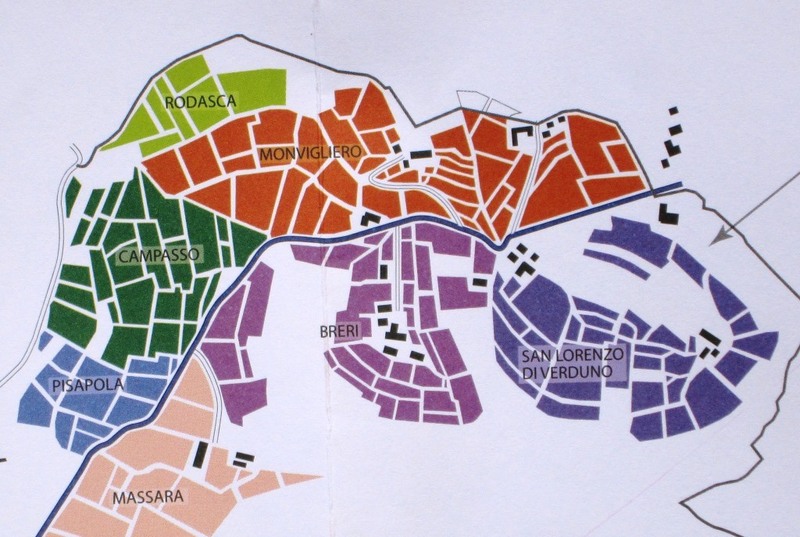 For the last few years at Nebbiolo Prima (the annual blind tasting in Alba at which about 300 producers show their new releases to invited international wine journalists) I’ve been noticing that I consistently score Burlotto’s wines very high. This year I decided it was time that I found out something about the winery, so I arranged to visit. 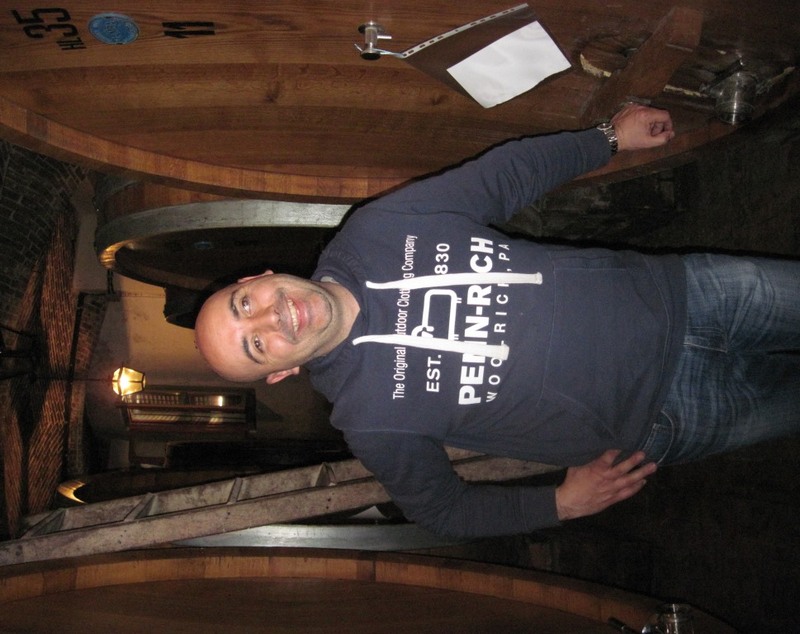 Winemaker Fabio Alessandria hosted me for an afternoon at what turned out to be, to my intense pleasure, one of the most traditional wineries of the zone. Not only was Burlotto’s cellar filled with fine old botti – the very large barrels of Slavonian oak that have been the traditional wine fermenters and containers in Piedmont at least since the 19th century – but also the family continues to grow all the traditional Piedmontese grapes – Dolcetto, Barbera, Nebbiolo – as well as the now-almost-endangered Freisa and Pelaverga. The latter were for me a special treat, because they make wines that are distinctive and always accessible and refreshing, especially after the sometimes daunting task of each morning’s tasting through 50 or 60 young Barolos. Unfortunately Freisa and Pelaverga are not well known outside their native zone, hence don’t make a big market item, and, hence again, are steadily losing vineyard space to better-known, more easily sellable varieties. That’s yet one more instance of how the very success of wine is contributing to its homogenization. Thank whatever gods may be for steadfast traditionalists like Burlotto. Fabio led me through a tasting of Burlotto’s extensive line of wines. All remarks within quotation marks in the rest of this piece are Fabio’s comments. 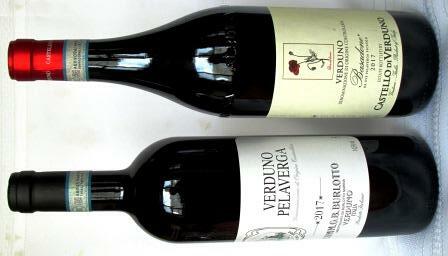 Barbera 2012: From vineyards in Roddi and Verduno. Aged in botti. Blackberry, brambly nose. 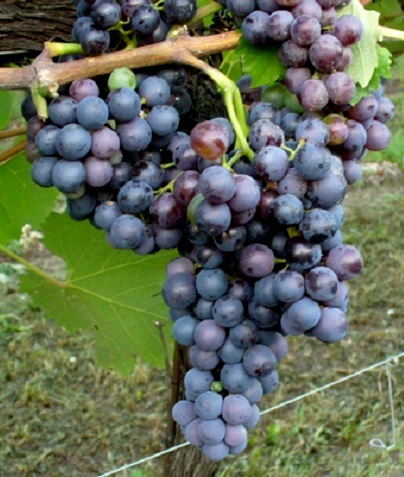 Delightful Barbera fruit and acid: great fun – a perfect Barbera. Barolo Acclivi 2010: This is what used to be called a riserva – a selection from several vineyards in the best years. More tar on nose – the fabled goudrun – and palate, more structured and less giving now. This one is built for the ages. Barolo Monvigliero 2010: “A single-vineyard wine, but one of our most traditional: We crush the grapes by foot, and we don’t always tightly control the temperature during fermentation. Two months maceration on the skins.” Lovely and elegant, with undertones of dried flowers, tar, dried fruit. Silky tannins. Totally enjoyable already, and yet giving every sign of long life ahead of it. Barolo Cannubi 2010: Equally as good as Monvigliero, but very different; austere, showing more power and a bit less elegance, but in no way heavy. A wonderful, pure Nebbiolo-fruit finish. 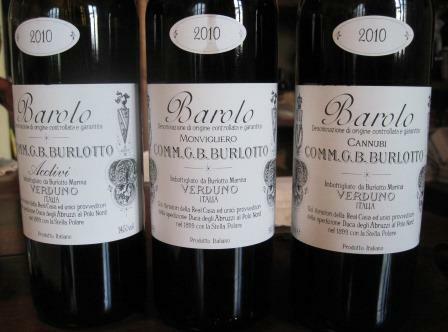 Very, very fine: All these Barolos are five-star wines. So concluded yet another fine visit in Barolo-land, leaving Ubriaco to mourn once again the passing of the days when one could take almost a case of wines onto the plane home as hand luggage.